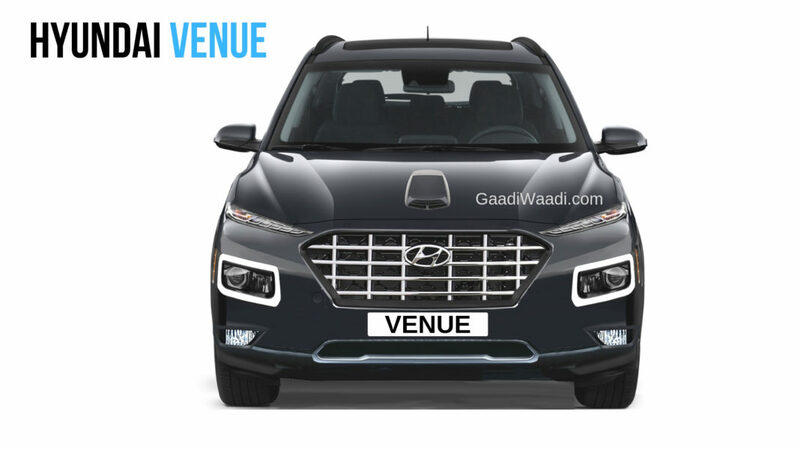 Hyundai is going to launch the much-awaited Venue in India on May 21. The compact SUV will make its global debut later this month at the New York International Auto Show and the model will be revealed in India also during the same time. The compact SUV is going to play an important role for the company in both developed and emerging markets. The Venue is based on the same platform as Grand i10 hatchback and the company has made some changes to the chassis to meet the stringent safety norms. The compact SUV is the production version of Carlino concept showcased at the 2018 Auto Expo and the design takes inspiration from the new global SUVs of Hyundai like Santa Fe. 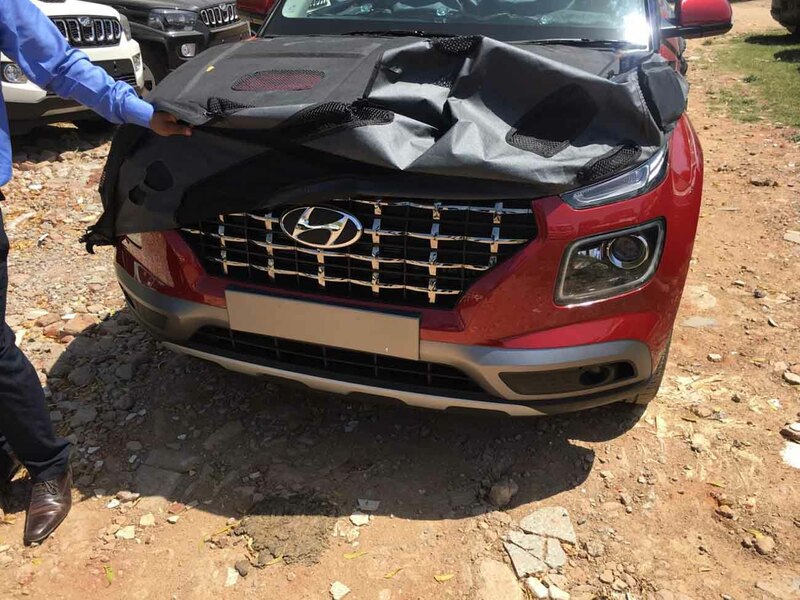 The front gets signature grille of Hyundai along with dual-headlamps set up in which LED DRL is placed on top and projector headlamps are positioned below it while the fog lamps are placed on the lower part of the bumper. The compact SUV gets black plastic cladding around the body along with faux skid plates at the front and rear. The Venue gets LED tail lamps and the rear glass areas have a wrap-around design theme with an integrated spoiler. The interior design theme of Venue is different from other Hyundai models as the centre console gets a tablet-like touch screen infotainment system with Android Auto and Apple CarPlay with circular controls for the AC. The charging points are located below the AC controls as Venue gets two USB charging ports with a 12V socket. Hyundai has given a new three-spoke steering wheel unit and the instrument cluster design is simple. The compact SUV is loaded with 33 advanced features and it also gets an eSIM powered by Vodafone Idea to connect the vehicle to the internet. In India, the Venue will be powered by two petrol and one diesel engines. The compact SUV debut the new 1.0 L turbocharged petrol engine with 100 PS and 172 Nm while the 1.4 L naturally aspired petrol engine produces 100 PS and 132 Nm and the 1.4 L diesel engine puts out 90 PS and 220 Nm of torque. DCT will be offered in the smaller petrol engine.